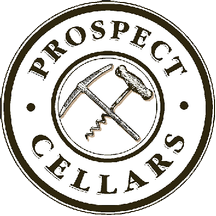 Located in the restored original Post Office building on Main Street Plymouth, California, Prospect Cellars is equal parts tasting room, eatery, local hangout, visitor center and fun. It is our family's contribution to the revitalization of one of California's greatest Gold Rush towns. As our name suggests, we honor the history of this sacred place. We do so with wines produced from the regions great vineyards, varietals true to our heritage, a huge dose of community spirit and a desire to share all of it with you. We hope you are inspired to SEEK, DISCOVER, and DRINK wines that you love. Our family is deep-rooted in Amador wine history and the local community. Stop by to hear our story in person. We love making new friends (and new Friends With Benefits—that's our wine club). Seek, Discover, Drink what you LOVE! Back by popular demand: Brunch. And, we'll up our brunch game by offering Bacon + Wine Pairing seminars at 11 a.m. and 2 p.m. both days of BCD. Use our promo code pcbcd19 to get a discount on your tickets.